Cinema has soon dealt with historical events, and yet to retrive distant times is not so easy. 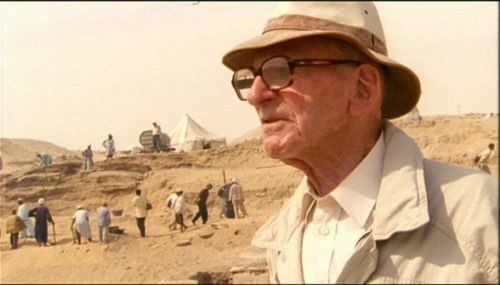 During the shooting of Land of the pharaohs, Howard Hawks bitterly complained not to know how a pharaoh used to speak and think. Staging the past cannot avoid to face present matters, such as archaeological and historical knowledges or the concerns of the artists and of the spectators. The French national Library hold in its collections many films inspired by Antiquity. Here is a brief panorama which we will detail in three blog posts, starting from the book written by Hervé Dumont, L’Antiquité au cinéma : vérités, légendes et manipulations [Antiquity in cinema : truths, legends and manipulations], which lists the films from the origins of this medium until 2009. 1st post : Egypt. 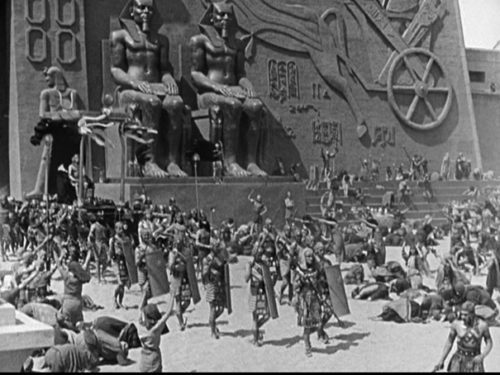 By the duration of its civilisation, its prestigious sovereigns and its monumental architecture, Egypt went on screen since the beginning of the cinema. From the documentary film side, the palette is wide, ranging from the most extravagant theories related to esotericism to the most advanced scientific techniques. Many themes show up regularly : the sphinx, the pyramids, the rituals related to death, the hieroglyphs, while some kings have acquired a status of « stars » for the historical documentary : Tutankhamun, Nefertiti, Ramesses II and Cleopatra. Note that the first feature film entirely produced in Egypt is a documentary Fî bilâd Tutankhamun [In the Land of Tutankhamun], realised in 1923 by Victor Rosito and photographed by Mohamed Bayumi. It recounts the discovery of the tomb of Tutakhamun, replayed by actors. Way of disseminating knowledge, the cinema enables organisations such as the CNRS [the french National Center for Scientific Research] or television stations such as Arte [the European culture channel], the BBC [British Broadcasting Corporation] or Discovery Channel to keep a wide audience updated of archaeological discoveries. This is for example the case for the excavations carried out in Saqqara by Christiane Ziegler and the Louvre Museum’s team (Les trésors enfouis de Saqqara [The buried treasures of Saqqara], by Frédéric Wilner, 2004), in Alexandria by Jean-Yves Empereur (La septième merveille du monde : le phare d’Alexandrie [The seventh wonder of the world: the lighthouse of Alexandria], by Andrew Snell and Thierry Ragobert, 1996), and the portrait of Jean-Philippe Lauer, Jean-Philippe Lauer, voyage à Saqqara [Jean-Philippe Lauer, a travel to Saqqara] realised by Nick Quinn (1996). Documentary and fiction are sometimes closely related. 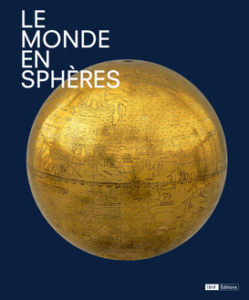 It is interesting to see how an artist like Jacques Brissot, assisted by Pierre Schaeffer, uses the photos of the monuments, the music, the text and the images of the Egyptian countryside of the late 1950s in Egypte, ô Egypte [Egypt, Egypt] (3 episodes from 1959 to 1962 : Un présent du fleuve [A Gift from the river], Dans ce jardin atroce [In this atrocious garden], Formules pour l’au-delà [Formulae for beyond]), how Roberto Rossellini speaks of the Egyptian civilisation in La lotta dell’uomo per la sua sopravvivenza : 2 : la civilità que nasce da un fiume [The Struggle of man for his survival : 2 : the civilisation that is born from a river] (a documentary produced by the RAI [italian radiotelevision] in 1970, rare and unfortunately visible only on Youtube without subtitles) or how Jonathan Stamp tells the construction of the great pyramid of Giza though a character, Nakht, in Pyramid : beyond imagination (produced by the BBC in 2002). 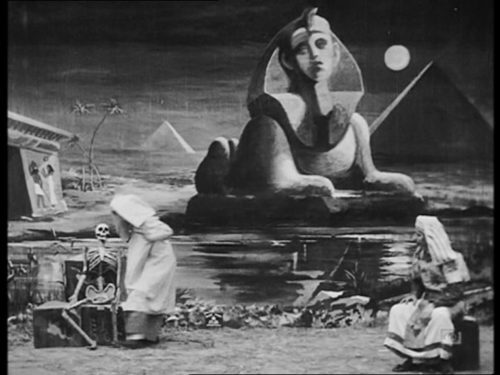 Apart from documentary views on the pyramids, Georges Méliès is undoubtedly the very first director to evoke Ancient Egypt in Le monstre [The Monster] of 1903, which can be seen in the second DVD of the Georges Méliès : le premier magicien du cinéma box [Georges Méliès : the first magician of the cinema], 1896-1913. The mummies and the legend of their curses, due to the misadventures of some archaeologists, are at the origin of a number of horror films, starting with Karl Freund in 1932 (The mummy with Boris Karloff as Imhotep), until Stephen Sommers (The Mummy, 1999 and its sequels) and Terence Fisher’s The Mummy (known in French under the title : La malédiction des pharaons, [The Curse of the Pharaohs], 1959, with Christopher Lee as the Mummy). Few Egyptian directors have evoked Antiquity in their films. It was, however, the case of Shady Abdel Salam, who mentioned the looting of graves in the Luxor region at the end of the 19th century, when Gaston Maspero was director of the service of antiquities, in Al-mummia (The Mummy, also called The Night when the years are counted, 1969), and Al-Fellah el fasih (The Eloquent Peasant, 1970), a 20-minutes short film inspired by an Egyptian tale of the Middle Kingdom. He was never able to realise his great project, Akhenaten. As for Youssef Chahine, he is the author of a televised fiction, Al-mohajer, whose main character, coming from a poor tribe, is hosted by an Egyptian notable (The Emigrant, 1994, Egyptian-French co-production). Ancient Egypt seen by Hollywood appears through Biblical episodes, beginning with The ten commandments (by Cecil B. De Mille, who realised two versions, in 1923 and 1954, both visible in this box). For producers, The Bible is indeed the mean to interest the American public in ancient history, far from the traditions of the countries of emigrants coming from northern Europe. 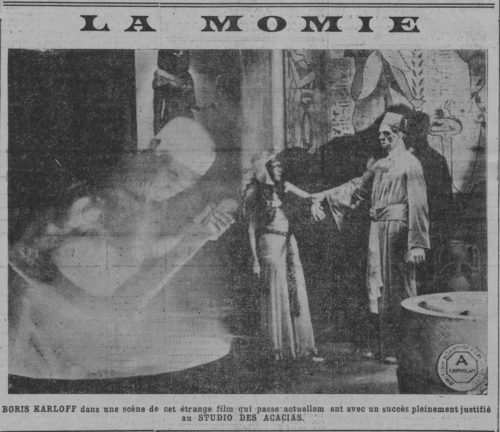 Strangely, two of the most famous novels inspired by Ancient Egypt were adapted only once to the cinema: Théophile Gautier’s Le roman de la momie [The mummy’s Romance] was brought to the screen by Albert Capellani in 1911. Sinuhe egyptiläinen [The Egyptian], by Mika Waltari, was adapted in 1954 by Michael Curtiz (The Egyptian). As for the novel by Agatha Christie, Death comes as the end, whose action takes place in Pharaonic times, it only has been in 2017 for the BBC. Eventually come the Pharaohs in Land of the pharaohs by Howard Hawks (1955) and in Farao by Jerzy Kawalerowicz (Pharaoh, 1966, after Boleslaw Prus). The construction of the pyramids and the colossal means employed, the exoticism of costumes and landscapes, everything is done so that the viewer is fascinated by the spectacle, while the influence of the priests and the sacralisation of power allows a political discourse. Cinema also loves fatal beauties. If Nefertiti appeared in some films, for example, Nefertite regina del Nilo, Fernando Cerchio (Nefertiti queen of the Nile, 1961) or Néfertiti, la fille du soleil [Nefertiti, the daughter of the sun], by Guy Gille (1994), the undisputed queen is Cleopatra, whose destiny is linked to the history of Rome. We will meet her in the forthcoming post. 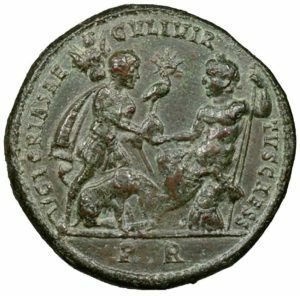 Citer ce billet : Brigitte Loret, "Antiquity and cinema : 1. Egypt", in L’Antiquité à la BnF, 10/10/2017, https://antiquitebnf.hypotheses.org/1288, [consulté le 23/04/2019].